Portable diesel fuel tanks from Morgan City Rentals decrease equipment downtime by allowing for quick, onsite equipment refueling. 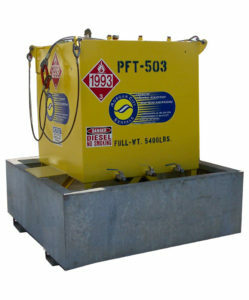 These portable fuel tanks are skid mounted with containment, forklift pockets, and certified lifting slings for ease of movement on job site or offshore use. 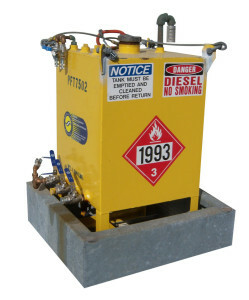 Excess / backup fuel supply on hand = less downtime waiting on fuel delivery. *12V battery operated or manual pump, nozzle and 15' fuel hose also available for rent with portable fuel tanks.